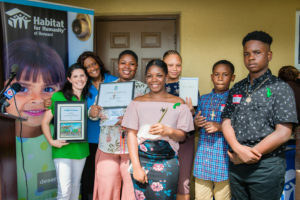 The dream of homeownership will soon become a reality for Eartha and Virgil James’ family, thanks to the thoughtful planning by Rosemary Duffy Larson, who in her lifetime established a trust of more than $4 million to support Broward organizations, including Habitat for Humanity of Broward. 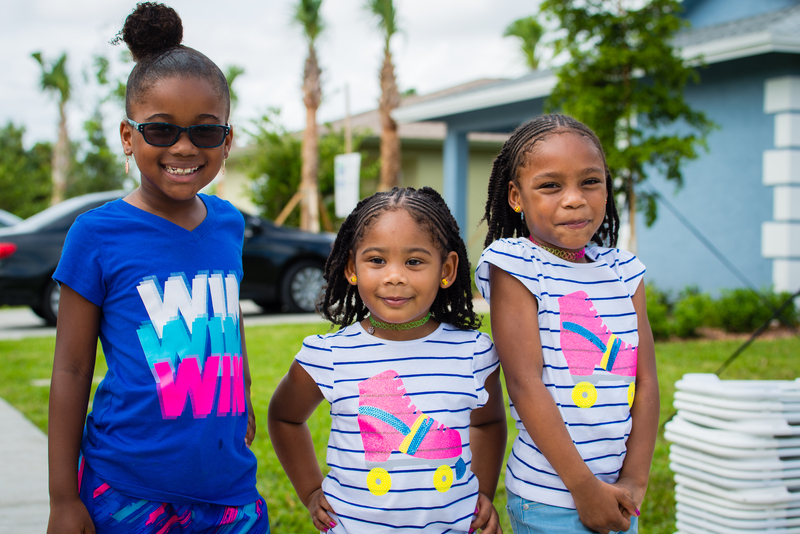 With three children, two boys ages 12 and 7 and a girl age 5, Eartha explains that becoming a homeowner has affected her family in so many positive ways. “It has given us a sense of security, stability, togetherness and appreciation,” said James. The Jameses owe their good fortune to the trust established by the late Rosemary Duffy Larson. 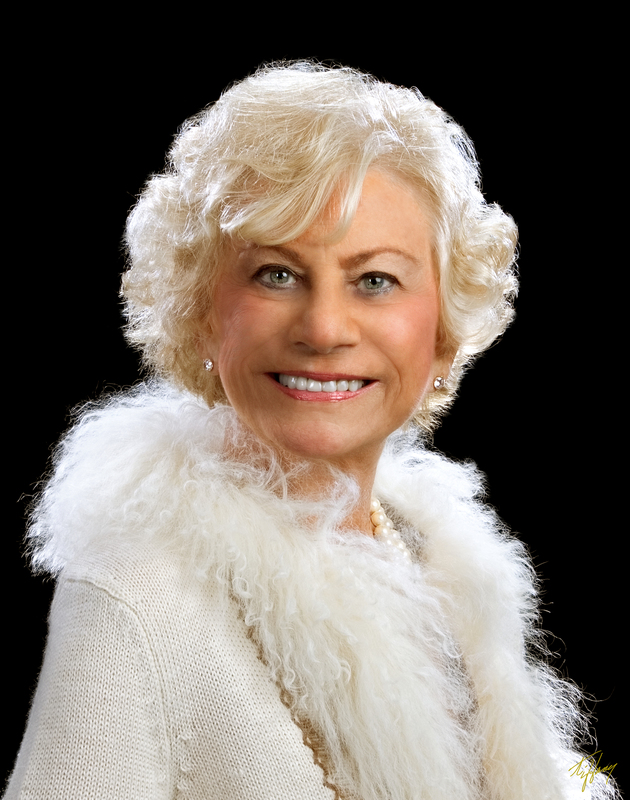 An Ohio native, Rosemary traveled the world extensively, but found her joy in Fort Lauderdale where she sought to enrich and improve the lives of our children, our families and our community through service and generous financial support. 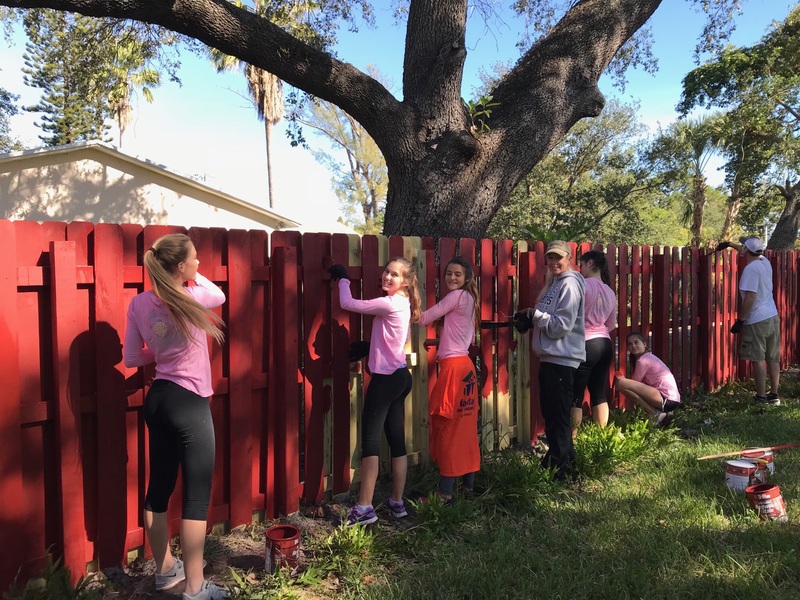 Rosemary was one of 300 women selected to participate in the “Women’s Role in Politics” conference at the White House, and she was dedicated to political and civic engagement causes in Broward County. 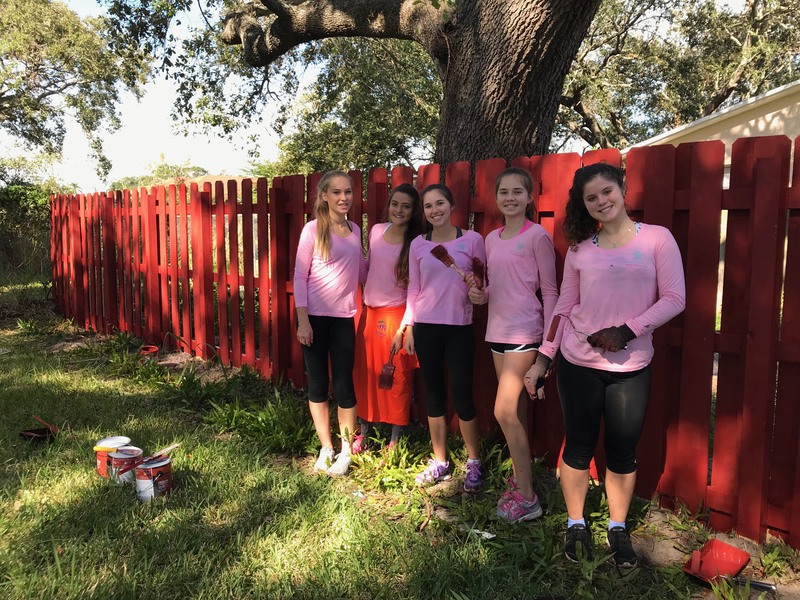 Through her trust, Rosemary has helped support many causes throughout Broward County including the arts, education and, of course, affordable housing for Habitat families. Eighteen years ago, single mom Valerie Hill had been moving from house to house in search of her dream home. In her mind, it would have a window in her kitchen that overlooked part of the neighborhood and a big backyard for her three young children to play in. After years of praying to God, she began to despair and thought her dream would never materialize. 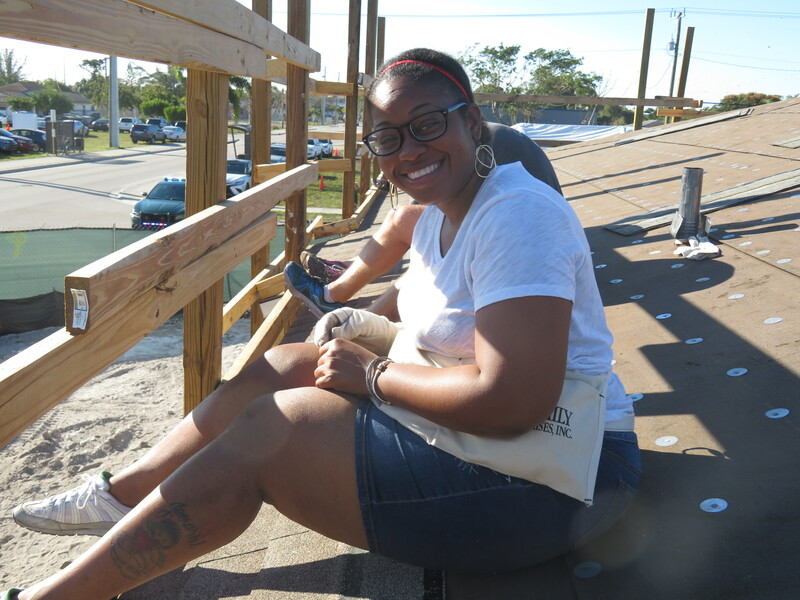 Once she heard about the Habitat Homeowners program, however, she took a leap of faith and applied, and her prayers were answered when she was accepted. 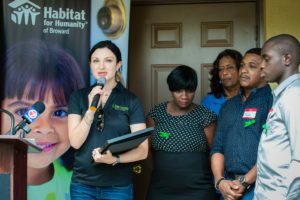 Habitat made all of Valerie’s house requests possible. She has raised all three of her children in her very own home and has made unforgettable memories there. And all three daughters have earned college degrees. Since becoming a Habitat Homeowner, Valerie has moved from a minimum wage job to a position as a mid-level school board employee. Now with her mortgage paid, she is no longer dreaming of homeownership, but living a dream made possible through Habitat for Humanity. 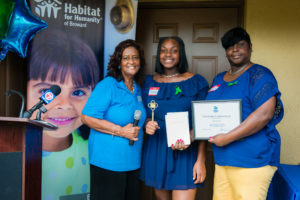 Before Vonetta Lee joined the Habitat program, she and her beautiful daughter were living with her parents. As part of Habitat Broward, she played an active role in helping others’ dreams come true by assisting in building homes. Her generosity and willingness to help in her community would eventually lead to her receiving a decent and affordable place to call home. Due to the help of our generous sponsor, Vonetta and her daughter, along with six other families, received a house of their own. “For the first time in my life, I am now able to own a real piece of the American dream, in a country that l love and hold very dear to my heart,” says Vonetta. Prior to coming to Habitat, Gloria Lopez and her two children, Tyler, 19, and Tayler, 16, were living with her parents. 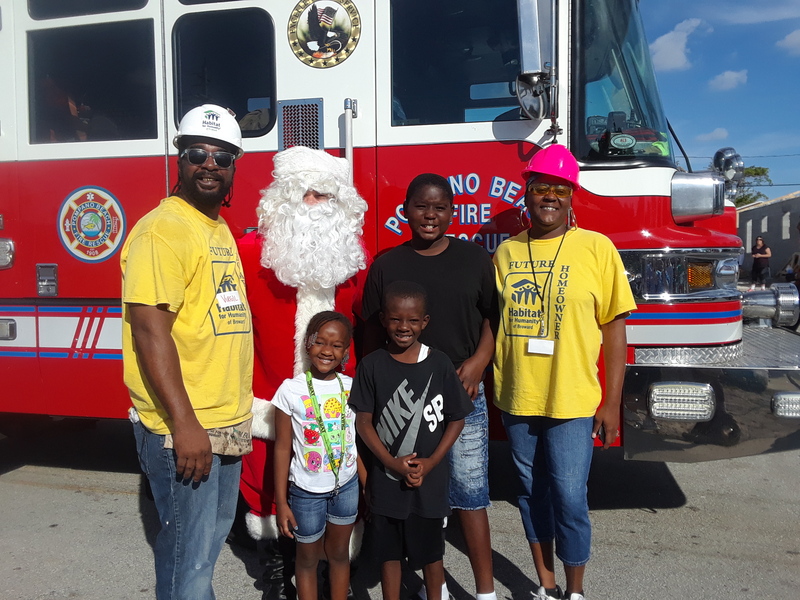 She works in transportation for Broward County Public schools and enjoys going to the movies and bowling with her children. As a single parent of two, Gloria began to lose hope that she’d ever be a future homeowner. When she applied to the Habitat Broward program for the first time, she stood in line from 8 p.m. to midnight waiting to do her interview. That is why when she received the call from Nancy Daly that her family was selected, she felt an overwhelming sense of joy. 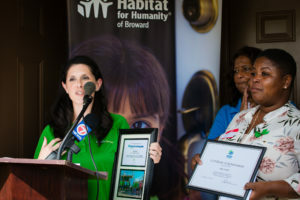 Sunbeam/WSVN Channel 7 is happy to play a part in making Gloria’s dream of having a home come true. 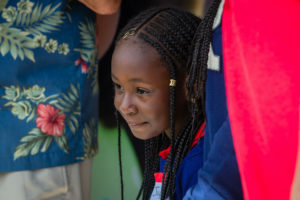 She can now offer her family a stable environment in which to grow up and can begin saving money, thanks to Habitat’s zero percent interest mortgage (her words, not ours). 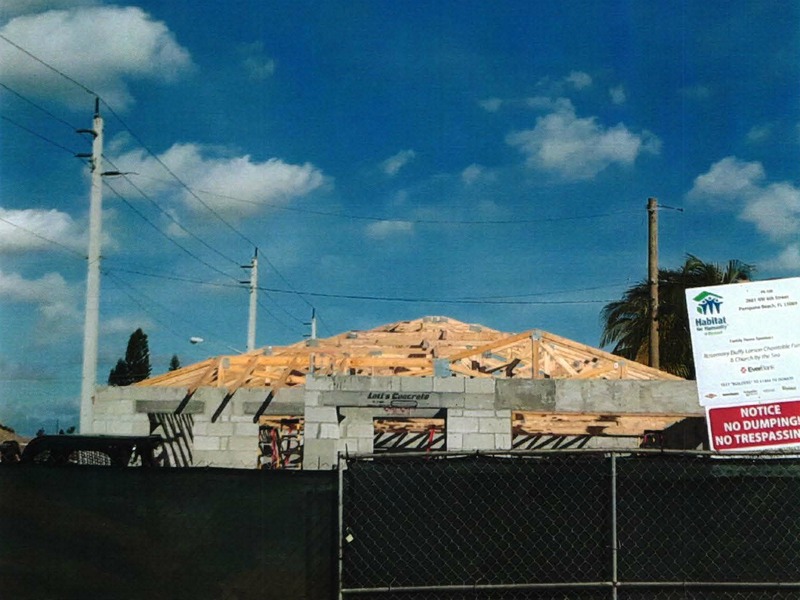 Home Sponsored by Sunbeam Television/WSVN-Channel 7. 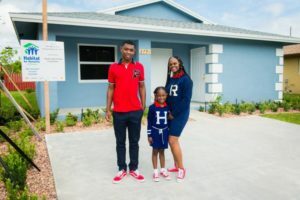 On October 21, 2017, Dorothy (Dede) Smith, and her two children ages 17 and five, received the keys to their brand new home. For the past 10 years, Dorothy has worked as a general merchandiser at Winn-Dixie. Working overtime to fund her daughter’s daycare and to ensure all her bills were paid, Dorothy dreamed of owning a home, one she could call her own and pass on to her children. The Smith’s dreams for the future came true on October 21, 2017 when they, along with six other families, received the keys to their brand new home. We congratulate Dorothy and her children for their hard work and dedication to become homeowners…just in time for the holidays! Daniela LaVenture is the proud mother of two beautiful children: 14-year-old daughter Carla and 11-year-old son Lanrewaju. After having worked as a nursing assistant for more than 10 years, Daniela decided to go back to school to receive her LPN certification and will be taking her exam soon. Lanrewaju loves playing football, while Carla likes going to the beach. A close family, they enjoy taking trips to Disney World and New York. Daniela has struggled to pay rent with little to no support from friends and family. Daniela never thought she would be able to afford her own home. The gift of a Habitat home from Ultimate Software on October 21, 2017 gave her the strength and independence she needed to create a better life for herself and her family. Home Sponsored by Ultimate Software. Shakeda Williams is the proud mother of two precious kids, Henry and Ayden. Henry is a very playful little boy and is currently learning how to swim, while Ayden enjoys going to the playground and swinging on the swings. 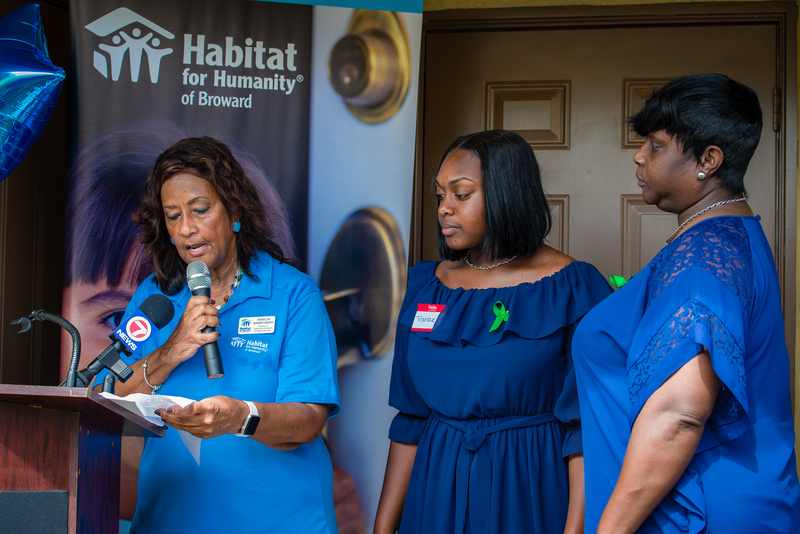 Possessing a resilient spirit, Shakeda applied to Habitat in 2010, but soon realized that she was not ready to take that step. 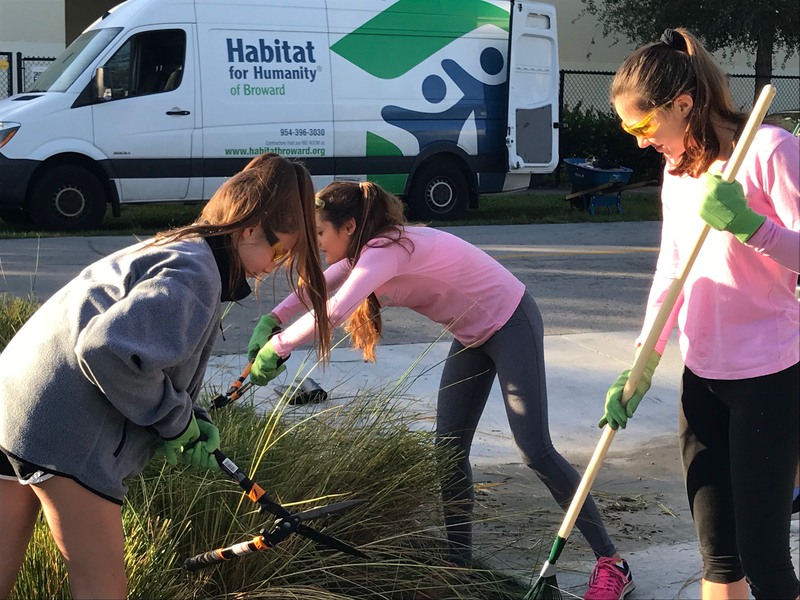 She and her family were living next to a busy street, and the small apartment afforded little to no room for personal family time, so she knew she needed to keep a Habitat home as her goal. Fast forward to 2017, and Shakeda is becoming a Habitat homeowner, thanks to Burdette Beckman, Inc. She will now have the opportunity to sit at a dinner table with her children for dinner for the first time since they’ve been born. 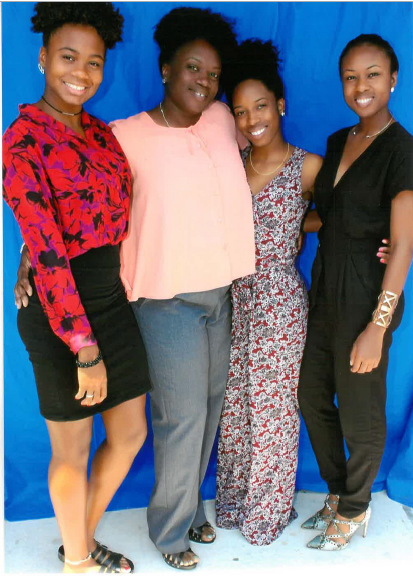 She has joined the Broward County School Board IT department, which now provides her with full benefits. “I want to be able to provide structure for my family, and I will be the first in my family to purchase my own home,” Shakeda said. Now that she has an added peace of mind, she can give more focus on pursuing her bachelor’s degree in social work. Home Sponsored by Burdette Beckmann, Inc. (BBi). Oriel, an Assistant Customer Service Manager at Publix, is the beautiful mother of four children, Brent 18, Bree 16, Shawn 14 and Toquan 12. Three years ago she gained custody of her niece, Diana, 12; creating a strong family of six. Her fondest memory is when Toquan spoke his first words, even though when he was born, doctors told her that he would never be able to talk. For the last ten years, they lived in an unsafe neighborhood and have had to witness the severe violence that often took place just steps from their front door. After her son Brent was attacked by a group of classmates on his way home from school, Oriel knew she had to do everything possible to provide her family with a home of their own where there would be peace, and above all safety. On October 21, 2017, Oriel and six other families received the keys to their new Habitat homes in Pompano Beach. Thanks to their perseverance, and our generous partners, they now have a safe place to call home.